The LightForge Token is now running on the Waves DEX! Additionally, our listing on Stex.com is now live. Please see the announcement here. Please view our LightForge LightPaper for more information. For more information please visit our Telegram Group. Telegram FAQ from real questions from our community of supporters. 1. What is the actual lightforge token and it’s primary use? The LightForge Token is used both as a mechanism to check the license and enable operational functionality of the LightForge Master Node and as a currency to be used to hire/pay for LightForge Master Node, computer power, by LightForge 3D Scanner operators or artists or developers requiring said power. There are other uses for it as part of the eco-system which we will get into later. 2. What is the difference between Lightforge and Lightforms? The easiest way to describe this is as follows. LightForms.CC currency is “front facing” to the general public. LightForge Token is not. Think of LightForge Token as an “industrial payment medium” used for procurement of resources and services in the manufacturing process that produces LightForms (Light or Life from Data) CG (computer graphics) digital assets or the maintaining of their presence in the eco-system and the worlds for which they “live”. LightForms.CC currency is used by the end customer to purchase these assets as crypto collectibles or for other in game/app currencies that may exist in the future on the system. This currency is the one that will be tied to the Xov.io Slipstream Debit/Payment cards network. 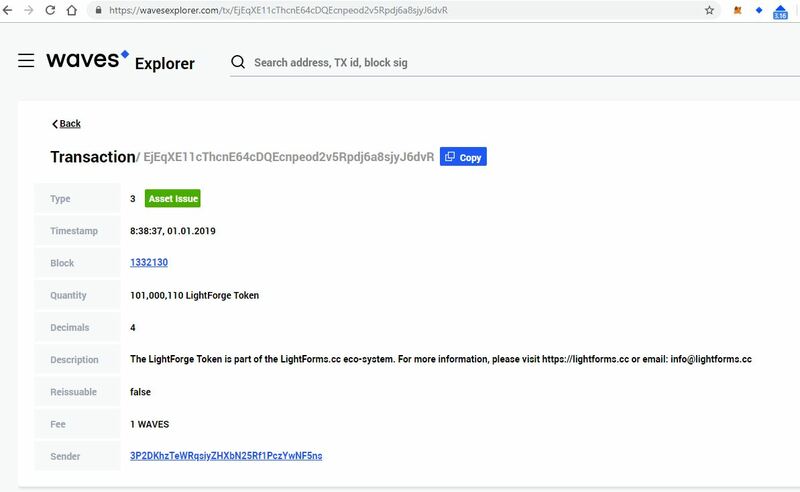 LightForms.CC currency and LightForge Token may be traded between each other for a variety of reasons, many of which we have not yet foreseen but include situations where certain services may require a combination of payment using these two currencies to access a service, entity or other function on the network. Both of these currencies will be in a state of active use once their logical purposes have been arrived at in our development plans and will remain so. This is heavy NDA, secret sauce territory. So we have to be tight lipped about it due to the highly increasing competitive nature in this space which we seemed to have triggered with our announcements. How will masternodes be used and implemented? 1. Photogrammetry data set construction services linked to LightForge 3D Scanner operations services or processing of photogrammetry work via conventional means (please see the lightpaper on this). 2. LightForge Game Server Eco-System “World” Hosting. There are other additional modules that may be added in the future and we have at least one other planned and being worked on actively in the background beyond the “topsecret” one. This module was actually publicly discussed at one point and represents the future of (its here now actually) computer graphics for film and television visual effects production. The LightForge Master Node software will initially ship once it hits 1.0 with two of these modules being active and ready for use. The third will likely follow shortly thereafter once beta testing and network stability in the “live environment” has been monitored and evaluated, providing us with the necessary real-world data required to make final adjustments. 4. How many tokens are needed to run a masternode? 1 million LightForge Tokens are required to be held by the LightForge Master Node Operator in order to run the Master Node Software. Think of it as a way for us to “authenticate” the operator license to the Master Node. This is actually answered in the LightForge LightPaper on our website. When will masternodes be live from? This is answered in our roadmap. Our goal is beta testing April through May and then full release in the month of June or early July with all 3 of the modules discussed above in question 3. We are working as fast as we can to produce the required components for these goals to be met while addressing the needs and demands of end user customer scenarios that we have researched, appropriately. How will node holders be paid? This question has been answered to a degree in both the LightForge LightPaper and the in-game currency demo. Node Operators will be paid for services rendered using their computer system to do work or provide a service performed by one of the primary modules described. Wallet addresses associated with the Master Nodes basically receive payments through the means described in previous questions. This does however lead us into question 7. How are lightforge tokens integrated with the video game? This is an interesting question and if you have watched the video you will realize that they are not directly integrated with the game “world” as a requirement, but can be made to be as the chosen in game currency that end users would have to buy in order to complete in app-purchases, while being rewarded with any other currency selected by the world developer and agreed to by the node operator should that be desired. Practically any cryptocurrency that is available through the Waves Wallet could be utilized as the “world’ currency. Another scenario that is possible is that “in game” the currency that exists is only present in that world but then when a player enters or exist, that currency is changed for the “gate way” currency of choice. Our preferred choice is LightForms.CC of course to be utilized either directly in world with no gate way required going in or out or as the gate way currency for use as a method of purchasing the in game currency and then cashing back out. This is what we mean by “front facing” and why we have the agreement with Xov.io. This is not to say that LightForge Tokens cannot be used, they can. We can think of a few ways where this can be done and LightForge Tokens being bought and sold for use in combination with LightForms.CC between node operators, LightForms.CC “world” (game) developers and even end users. We would like to make the use of LightForge Token largely hidden from the public in any of these processes for branding reasons. LightForms.CC is the actual website for which this all comes from as well as the actual name of the token on the Waves DEX and provides for a “house hold name” opportunity across the entire eco-system regardless of what “World” you may be into as an end user such as a gamer or collector of LightForms.CC crypto collectible toys. Indeed, the domain name was chosen to represent “Crypto Collectible” on the end, or “Cyber Collectible” as well as other cool names and branding methods for us to popularize the platform. If you have been paying attention to the Waves Tokens that have been created over the last few months since we introduced LightForms.CC and LightForge Token, you will notice there are more to the family that have similar names or patterns to them regarding the .CC extension. LightForms.CC in terms of the eco-system is much bigger than we are letting onto but it all starts with LightForge and branches out. What plans are in place to raise brand awareness? Build it, ship it, populate it, popularize it through production of great content working with our partners and the various developers, producers, artists and enthusiasts in the areas of interest that we appeal to and then cast a wider net to pull in the general public. Sounds like a mouthful but simply put, CONTENT IS KING. 2. engage in other hostile actions. We’ve seen this happen elsewhere and as a result the best strategy for us is to “suit up” and then hit them without us being seen as a threat or even coming. Then we will be in the best position possible and that benefits everyone because then they can’t sabotage themselves, or us, and we want to work with some of these companies. Look, its really simple. Stealth is good. We know people want to have us all over the place yes, but like stealth, the right timing is essential. We will, and are planning now, some really cool marketing campaigns. However, we are not a conventional “crpyto currency” or even “blockchain” project found out there in the wild today. We are not into coin shilling or those who are shillers of coins for the sake of running up value and then dumping. That’s not our thing. The tokens or “coins” are just a small aspect of all of this, but the blockchain technology behind it (Waves Platform and potentially others) which allows for them to exist enables the platforms for which the opportunity stand on top of which goes well beyond the short sightedness of “short selling” or buying dips for some hot new project and then moving on when it seemingly runs out of steam. We are VERY different. We have watched for a very long time, several projects including those that are now entering this end of the ‘gaming’ world and while some of them are legitimate efforts, most of them are not, and or do not have the required expertise or experience to produce or even attract the content required or desired by the general public in order to justify their existence. That’s why LightForms.CC stands out and we are very much building the “end-to-end” platform that has associated with it, entertainment IP that we know for a fact will expedite wider platform adoption of not just LightForms itself, but blockchain technology as a whole. We know how to produce that content better than most. We are made up of writers, directors, producers, programmers, musicians, technicians and futurists. Several of which have won multiple awards for their work and are top experts in their respective fields with patents, published works, and more to their credit on top of DECADES (each) of knowledge doing it, combined together as a team. So forget current crypto project style marketing methods when it comes to LightForms.cc. Our marketing efforts while they acknowledge the need for these, is not locked into them in anyway and the big reason for that is the general public simply has no knowledge of what crypto currency is, or what blockchain does and they frankly don’t care and this is horrifically lost on most blockchain projects and crypto promoters. But this is changing. People have obviously heard it in the news all over the world in positive and negative ways. Our marketing initiatives will be directed appropriately at the target audience for our products and the platform, understanding there has to be a balance struck while educating the general public to the point of furthering wide spread adoption. The best way to do this from our perspective is through entertainment, ie… content. Make awesome content, make it easily accessible and affordable by the general public in ways that blockchain technology can provide that does it better than existing means of doing so, without causing their eyes to roll, is essential. We have several active business development initiatives taking place right now to bring on board great entertainment IP while also being in possession of and working towards the production of our own, awesome content. After all, that’s what we do for other people and you can pretty much be assured that you have seen our work somewhere in multiple places in TV and Film over the years. It’s time we did it for ourselves and brought with us others like us and likeminded. 9. Can I run multiple nodes on the same computer? The short answer to this question is, technically yes. However the long answer is there are a slew or reason why you wouldn’t want to and in the future may impact network stability and also cause a LightForge Master Node to be unable to check out a license for use and maintain it, because it’s overloaded. For this reason we recommend that LightForge Master Node operators adhere to our recommendations on this one we put out the software and this is part of our internal testing. The cool thing is that the “top secret” module should be able to work pretty much all the time without much trouble along side one of the other two planned for initial release. All three at once would certainly be pushing it though. On the flip side our system will only permit for one LightForge Master Node to operate, per 1m LightForge Tokens held in the wallet which is registered with us. If you have for example 2m LightForge Tokens in that wallet, while it may check out a license for the first amount, the second licensee may not. It may require the use of two or more (depending on your holding count for each additional 1m) wallets to do this, with each of them registered with us to function. In situations where Virtual Machines are used on the same system, the scenario above is similar but that is why the LightForge Master Node software is intended to be modular. This goes back to the answers in question 3. Please keep in mind that it is not just about pure raw computational power on the CPU with these modules. Some favor storage and bandwidth, others favor CPU and or GPU while all will need a minimum amount of RAM in the 16GB and above count (that’s our recommendation with the exception of the Top Secret Module which can function very well, with much less). More explanation of this is coming once we complete internal testing and push towards beta. 10. What partners does LightForms currently have in place? We have several key partners on board which are publicly known. We also have several relationships, many of them long standing with major players in the industry, some at the top of what they do, that at this time, we cannot discuss. This list is going to expand quickly and we will make every effort to update it so that it is current. We have also been issuing press releases and other announcements when key partners come on board. Still got questions? Here is our original quick FAQ. This Quick FAQ should answer the rest of them, but again we encourage you to pick up our LightForge Light Paper. What is the LightForge Token? The LightForge Token is a part of the LightForms.cc platform roll out. It is a fixed amount token currently available on the Waves DEX with 101,100,110 issued. We say currently because once they are sold, they are sold. We will not issue any more and while they may continue to be available on the Waves DEX indefinitely their availability will be very limited. If they are available their value will be completely left to the free, open market that is the nature of the Waves DEX. The LightForge Tokens will be used by holders of the token to run the LightForge Master Node Software. That software will be available in a limited number. We have no interest in running LightForgeMaster Nodes ourselves other than the bare minimum required to provide network stability and that in which to provide the operators of LightForge 3D Scanner booths or other devices and software users that can make use of the node network. Additionally, LightForge Tokens are used in the LightForms.cc eco-system as a method for LightForge Scanner operators, LightForms Certified Factories, Artists to work together to produce LightForms.cc Brand Toys or to offer services in their creation. Their use may also be required during the creation of LightForms.CC Cyber Contracts (Waves Platform based smart contracts) that are tied to the tokenized LightForms.CC assets such as a LightForms Crypto-Collectible toy or other form of digital merchandise. This is a great question. Tokenized assets as far as our definition goes are CG data sets that are linked to Waves Token/Smart Contract/Assets. This allows for two important things to happen. First they can be serialized and thus traceable in terms of how many there are, and in what “state” they are in when combined with other assets or tokens found in an end users wallet, which in the LightForms.CC ecosystem acts much like a virtual toybox. Second, whether these CG assets are built by hand or generated in part or in whole from our 3D scanner system or other means, their tokenization provides for a digital rights management mechanism to be incorporated into the end user product. Protection of CG assets can effectively be realized while also providing for a way to gain authorized access and use rights, based on the the smart contract/asset creation terms established a the point of their creation. One of the reason why we chose Waves Platform technology is because that system provides for all the structural components required to make this kind of chain of title, IP protection and value accumulation system work in an efficient and effective manner. This extends into the 3D scanner technology business model as well. Ok, so why would I want to run a LightForge Master node? The simplest analogy is that the LightForge Master Nodes are the land and the highyway system that the whole economy of LightForms will be built on. There is only so much of that land and freeway system space available and the LightForge Tokens are the gateway to get that land and freeway system space. Ever see the movie “The Founder””? Here is an idea of what we are talking about. 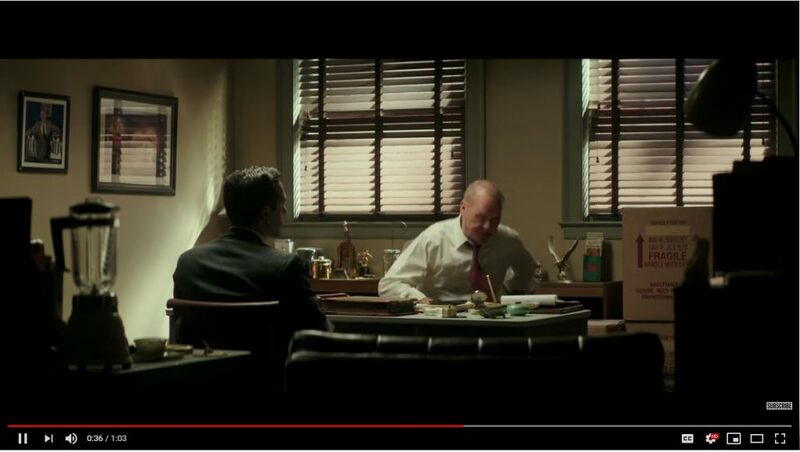 Clip from the 2017 feature film start Michael Keaton – “The Founder”. If you are still struggling to understand the significance of this, no problem. But like in the clip, we provide the “formula, the recipe, the operations manual” to start a LightForms factory that sits on the land and uses the highways the Master Node Software operators provide. Got it yet? No? Ok. We will further explain. First off, the LightForms.cc network will operate in similar fashion to how raw materials needed in manufacturing are mined, supplied to “Forges” who then supply refined materials to factories which then roll off finished product. LightForges are an initial first step in this process in our network. Although there is no “mining” so to speak in the cryptocurrency sense with LightForge Master Nodes, the point is that these nodes provide a platform for revenue generation models that we have conceived through software, to come to light. (Pun intended). Is this an ICO or STO? Absolutely NOT. No. We are not presenting it as an ICO or an STO, so get that out of your head right now. In fact, nothing that we are doing should be considered an ICO or STO. Not now, not ever. Not with the LightForge Token program or the LightForms.cc Product Token/Factory Franchise Token offering. In the simplest, most matter of fact terms, the LightForge Token program is the selling of a software product that will be made available shortly. When we make it available is up to us and only us and it will be done in conjunction with our plans as per the Light/White Paper. We have not done a presale or pre-mine in the conventional terms whatsoever of the currencies associated with these programs. What do I have to do to buy LightForge Tokens? Where do I buy them!? Make sure to check again and compare to this image and then verify again via the image link comparing the information between the information we have provided in this answer. We are NOT responsible if you should somehow manage to purchase something else. The Waves platform allows for similar or same named tokens to be issues on the Waves Platform. “Imposter Coins/Tokens” are possible on the Waves platform which is why we ask you to visually verify this information. If you are unsure, please contact us. When do I get my LightForms Master Node software?! Please see answers above regarding timelines. However, you and you alone are responsible for continuously checking back here for updates on this including information regarding the token burn. So make sure you subscribe to our newsletter on the main page at the very least. I have questions or need help with regards to doing this. How do I get a hold of the LightForms.cc project? Please see the contact information page for details. Is this information subject to change at any time without notice and all that jazz? Yup. We are human and technology shifts on a dime. This is a real project and we are in it to win it. If we were not serious, we would have given up years ago. Do you have the Token Specs? All technology, tokenomic models, rates, specifications, terms, topic matter contained in this document is subject to change and likely will. Count on it and you won’t be surprised later. The LightForms.cc platform or programs that operate as part of the intended eco-system are hypothetical in nature and until established may or may not produce desirable results, of which the end user experience may or may not be as intended by us or those who engage with the systems or any of its components. In the creative technology industries, the purpose of operating various software ranges from pure enjoyment to hobbyist to professional artistic and business needs. At no time are we suggesting that our eco-system or any of the components that are a part of it that we or 3rd parties attached to it will produce any kind of guaranteed rate of income, if any at all. We may not be able to get everything to work the way we, or our participants want it to, in a cost effective or engineering manner that makes any of this viable for production or any other use. None of the LightForms.cc programs including the LightForge Token Program or any other initiative, now or in the future should be considered in any way an “Initial Coin Offering or Security Token Offering” (ICO or STO). We are not selling a security in any form. We are providing access to advanced software solutions, some of which exist in alpha and beta states with other components yet to be written, compiled, tested, documented or otherwise realized by any means. We are pre-selling that access to the aforementioned technology in the form of software solutions. Many of these solutions are in existence in various states of development as well as available to purchase here on this site or at www.liberty3d.com. We have real product, right now.